If you’re shopping for a new Cadillac sedan or a new Cadillac coupe, Midway Auto Dealerships is proud to offer several new Cadillac models for Kearney drivers. Cadillacs are known for their sophisticated, handcrafted details and authentic design. With high-performance features and sleek technology, a new Cadillac model delivers unparalleled style and performance. Come see one for yourself today! 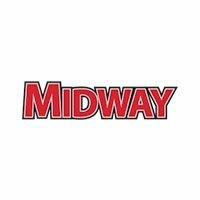 Shop for a new Cadillac at Midway Auto Dealerships! Let us get you behind the wheel today! Grand Island and Hastings drivers can even apply for financing and schedule a test drive online! Check out our new vehicle specials for great rates and terms before you stop by Midway Auto Dealerships in Kearney! If you have any questions, contact us online or call to day!